Talcum powder is a combination of the mineral talc mixed with powder, often used to absorb moisture and some women use it for feminine hygiene. 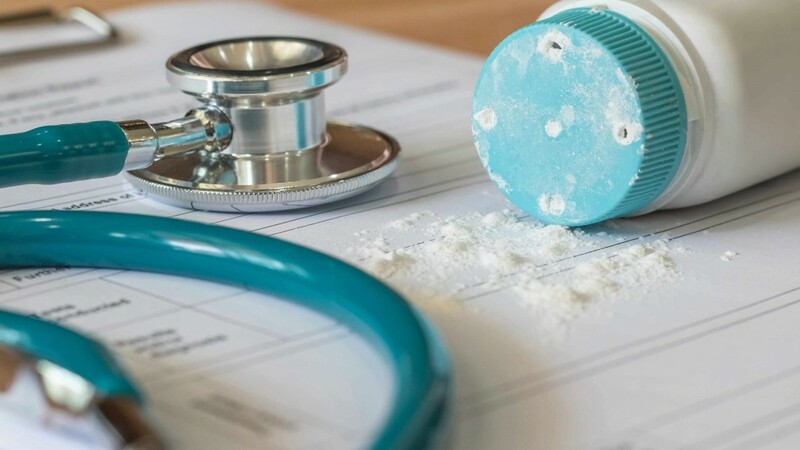 While the American Cancer Society says talc is not a known carcinogen, it does offer a statement that talc in body powder form could cause ovarian cancer if the powder comes in direct contact with the genital area. Mayo Clinic's Dr. Daniel Breitkopf says, "Genital talc use has been associated with an increase in ovarian cancer risk by some epidemiologic research studies, while others have not found an increased risk. A definitive cause and effect relationship cannot be established by epidemiologic studies." He continues, "Therefore, it is unknown if the increased chance of ovarian cancer in talc users seen in these studies is due to the talc or some other cause." Dr. Breitkopf, an expert in obstetrics and gynecology, adds, "There is some evidence that talc particles may migrate through the genital tract, through the uterus and fallopian tubes, thus exposing the ovaries and lining of the pelvic organs (peritoneum) to the substance. Whether talc particles cause ovarian cancer has not been definitively determined by scientists. Given the uncertainty regarding talc, it seems prudent to limit its use in the genital area."